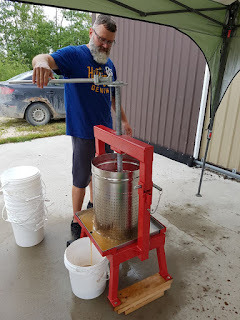 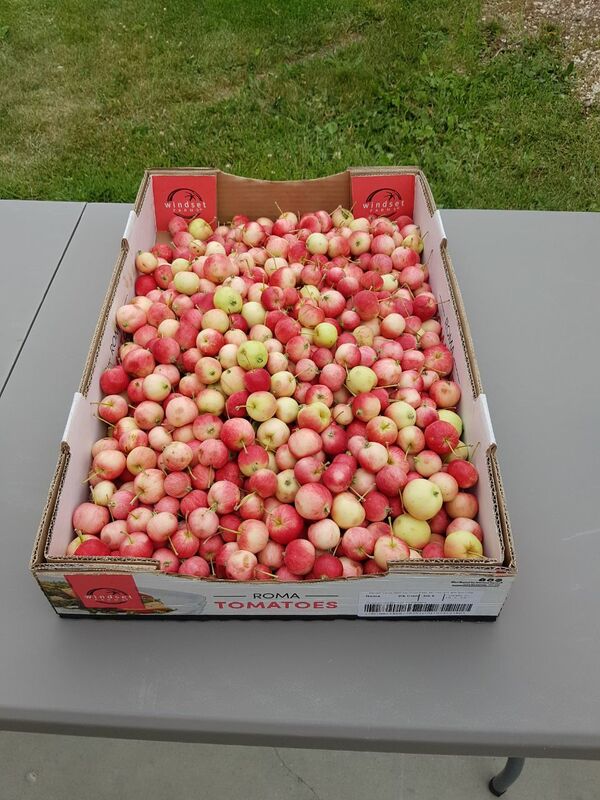 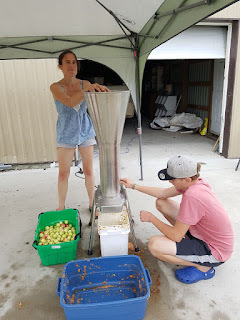 On Tuesday, July 31st we had a cider press day where those who had signed up could come and bring their apples/crabapples and make them into delicious cider! 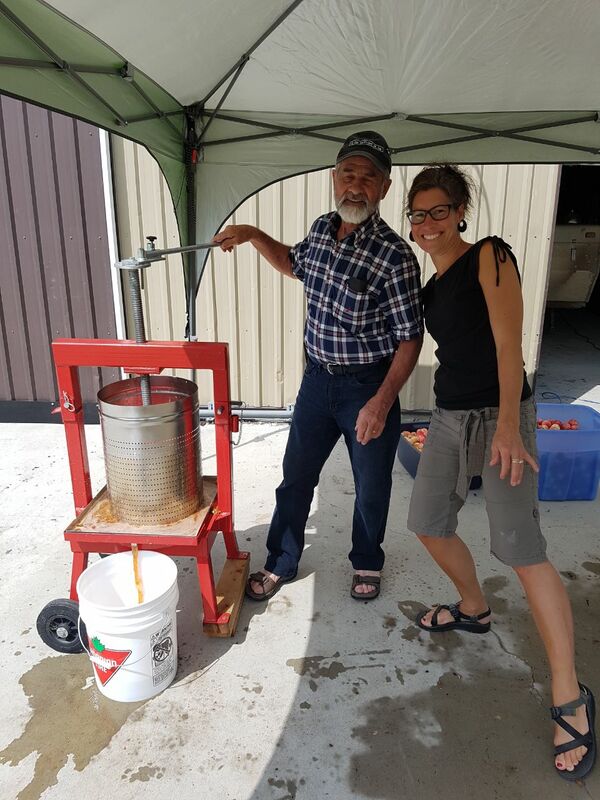 Here are some pictures showing the process of making apple cider. 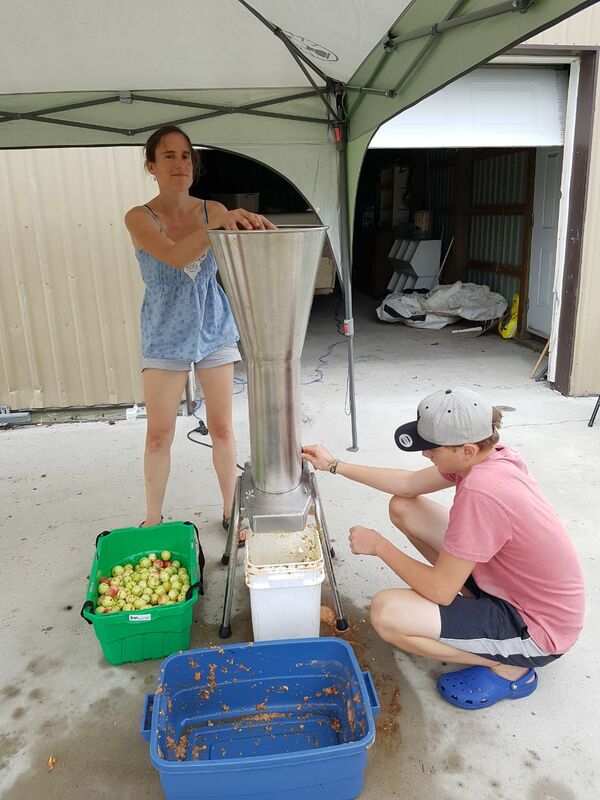 First you put the apples through the crusher which will crush them quite small. Then your pour the apple mulch into the press. 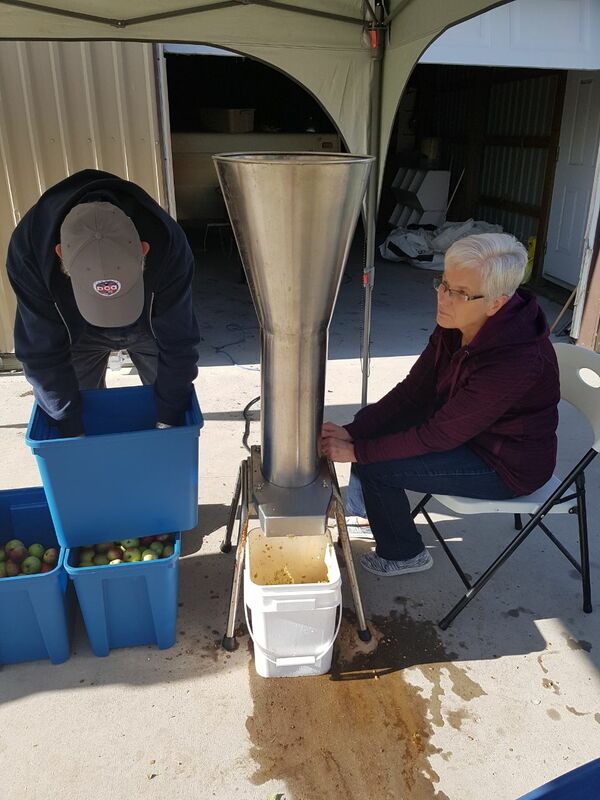 As you turn the handle the metal top presses down on the apples, squeezing the juice out. 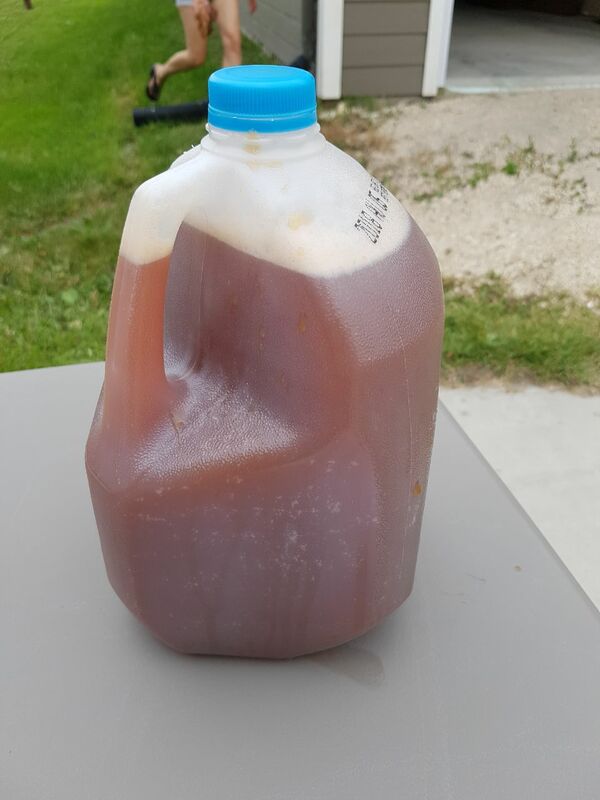 It pours through a hole in the metal tray into your container! And voila! Pure fresh cider for drinking!! 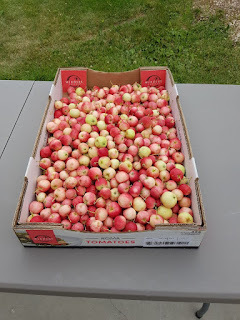 Thanks to everyone who came out and helped make today a success!